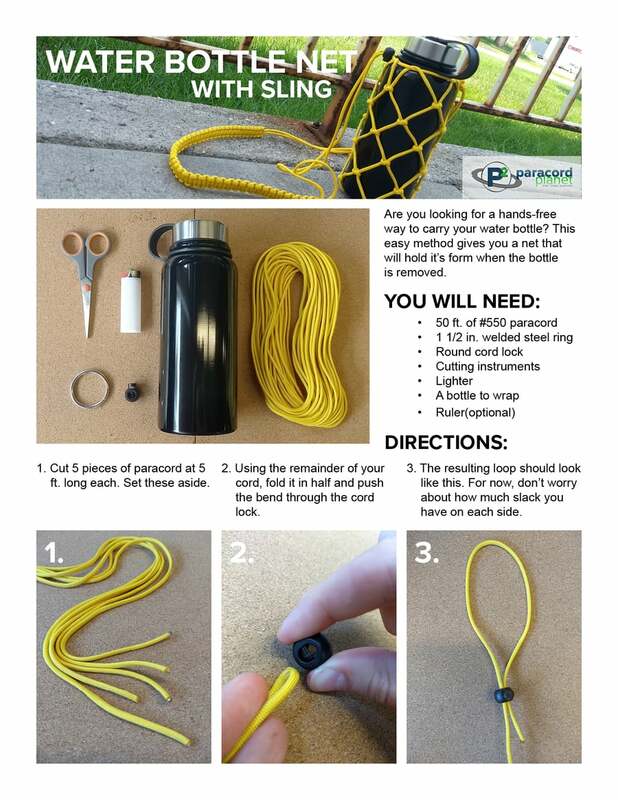 Water Bottle Sling— carry your water with you, hands free! 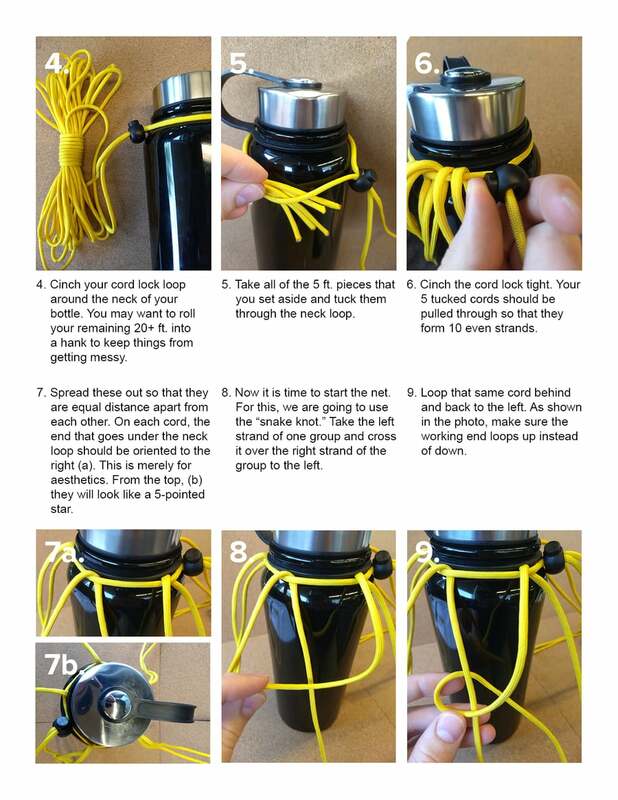 Learn how to make a netted water bottle sling with a carry strap in this 6 page printable tutorial. 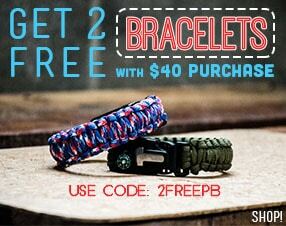 Scroll to the bottom for PDF download link as well as links to everything you will need to complete the project! 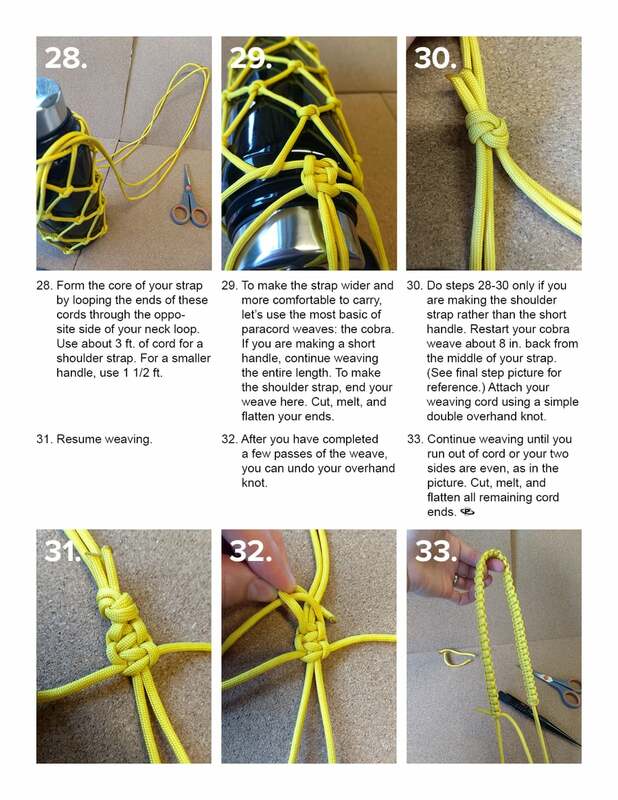 Before weaving the sling portion of this project, it is a good idea to try it on for length. 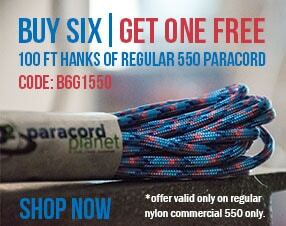 Paracord length is approximate. 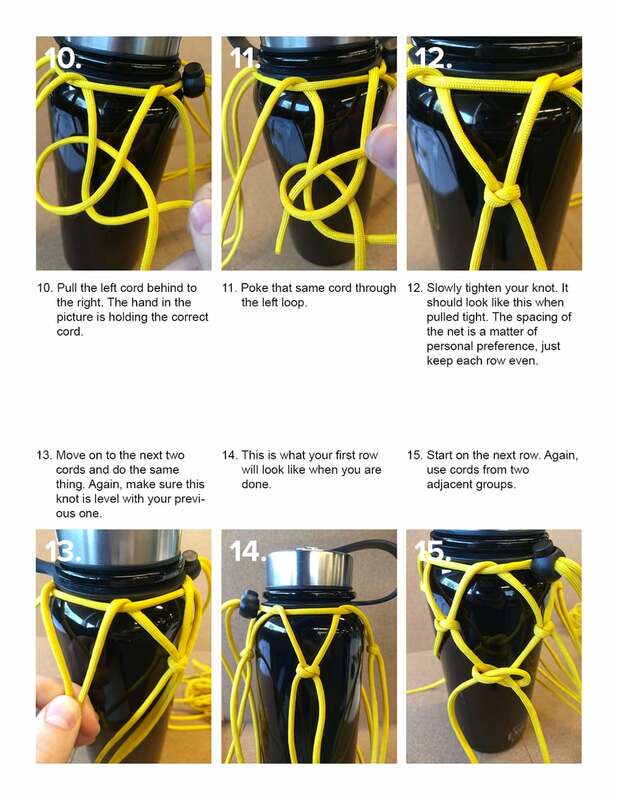 If your water bottle is bigger than the one in the tutorial, you will need to cut your pieces longer. If it is smaller than the one in the tutorial, you might be able to get away with using a little less. 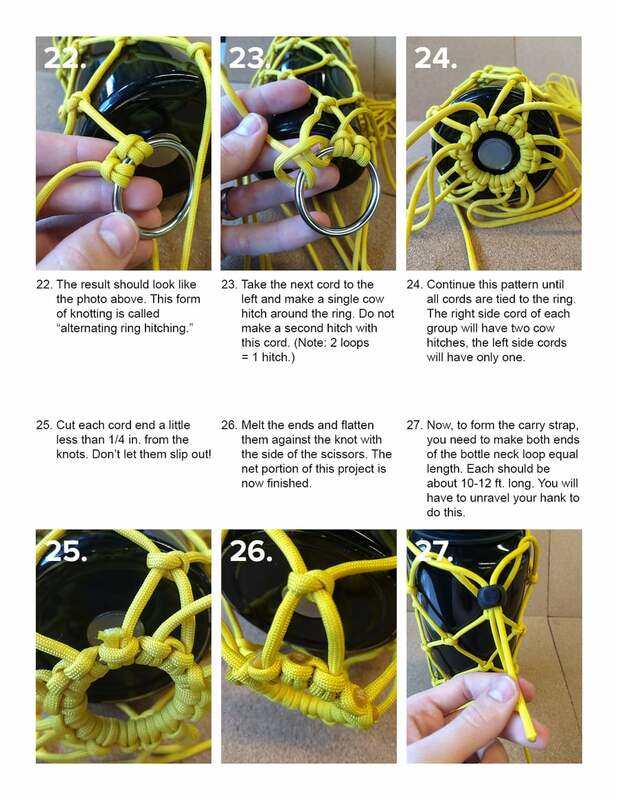 Other knots can be used for the net. 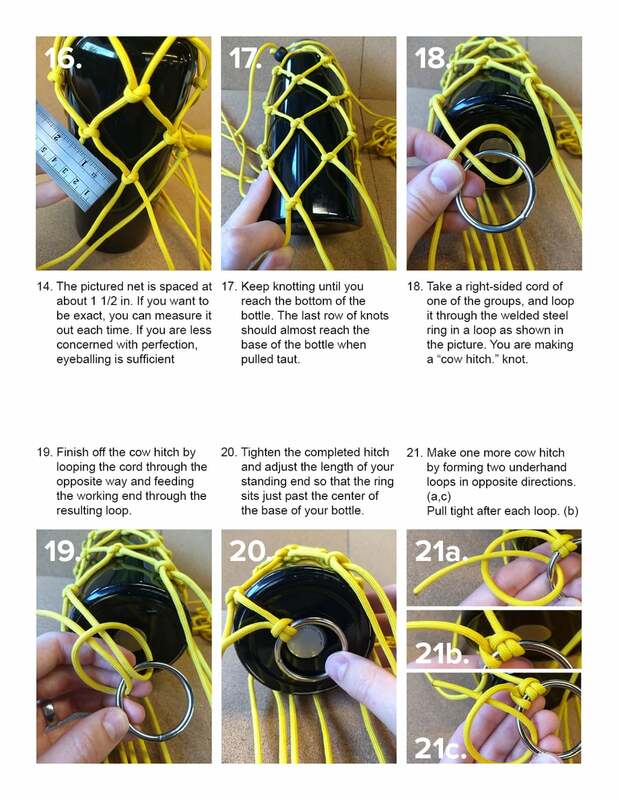 A snake knot is one option that stays in place and is easy to construct.